Kay Carswell and Chad Riley present Bible based programming that takes a closer look at the paranormal, life events, politics and their relationship to today's prophesies. 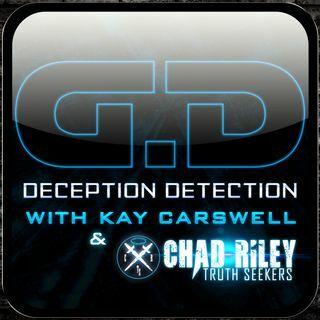 Kay Carswell and Chad Riley host this Bible based broadcast that takes a closer look at the paranormal, life events, politics, news and their relationship to today's Bible prophesies. Sound Bible teaching, doctrine and eschatology with Michael Hur. Soaring Eagle Radio featuring Dr. Michael Spaulding, is a news, opinion, and interview program that aims to provide information from a Christian theistic worldview. Soul Preppers with Kay Carswell is a broadcast meant to edify you, feed you and give you fellowship in the name of the Father, God, the Son, Jesus and the Holy Spirit. No sugar coated Gospel or only talking about what many churches only want you to hear. Soul Preppers covers it all. New Christian or seasoned Christian, there is something ... See More here for you. Thank you for listening, sharing and subscribing and may God bless you. Pastor Caspar McCloud, also known as your Lionhearted host, flies solo and welcomes guests to share in the Great Commission. Christian, Bible based programming to surely touch your heart and soul. Caspar, a guitar virtuoso, was given the gift to be an amazing guitar player who loves the Lord and share the gifts God gave him. Tune in ... See More every Thursday evening at 7pm est. for a Spiritual Encounter to surely feed your Soul and touch your Heart! This is a news and lifestyle show covering health, education, science, spirituality, books and entertainment. We tell the stories that are ignored by the mainstream media.